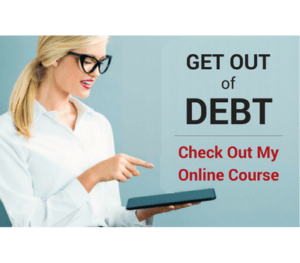 “How Do You Get Out of Debt?” Parts 1-5 showed you all about getting mad and naked, doing a budget, building a small emergency fund, putting together and implementing a “Debt Rocket” plan, and then building a large emergency fund. 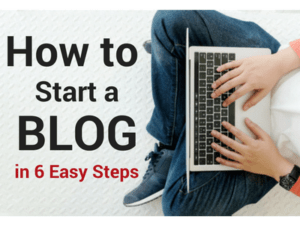 So, of course, you proceed to tell them all about this great blog you found that taught you everything you needed to know and led you step by step down the path to debt freedom. Now that you've spread the word to your “peeps” and you're basking in the glow of debt free stardom, it's time to get back to work. You've already done the work necessary to climb the mountain of consumer debt and conquer it. Now is when the wealth building begins. But just because you've rid yourself of that consumer debt doesn't mean you can just sit back and relax. Once you get to this stage, the next thing you have to do is to start building wealth, and in order to do that you have to do one very important thing first. That very important thing is to make a conscious effort not to GET STUPID! I mean there are a few things that you need to watch out for that can trip you up if you're not careful. 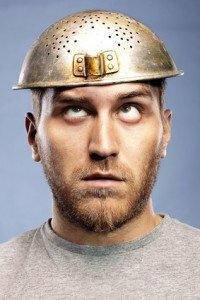 Now that you have laid the smackdown on all that consumer debt, you're feeling great, you're on top of the world, and it can be so easy to let your guard down. 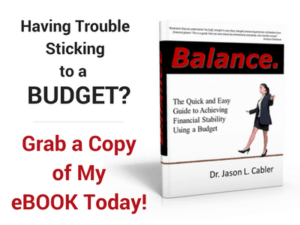 You Stop Doing a Written Budget- A written budget is the tool that allowed you to gain control over your money in the first place. If you get lazy and stop doing a budget every month, it's easy to lose control again and start overspending because you're not telling your money where to go. You Start Using Credit Cards Again- You rationalize that you'll use them “just for gas and groceries” because it's more convenient. Eventually you will end up using that card for other things and you can ultimately end up right back where you came from, with a pile of consumer debt. Don't go down that slippery slope. You Increase Your Lifestyle- You discover you have all this extra money now that you have no payments. You end up spending more on things like eating out, hobbies, or other money suckers. It's ok to eat out and have hobbies, but you have to stay aware and be sure not to let “lifestyle creep” happen, dripping away that money that should now be working to increase your wealth and secure your future. Much like when you lose weight, if you permanently change your habits, the results you get are also permanent. So remember, DON'T GET STUPID! Now that you have made it a priority to guard yourself against stupidity, you need to figure out what to do with all the money you used to send toward paying off debt. Save your money and invest it. You can pay off the house quicker. You can save for college for the kids. Put all the money into savings and investments, continue paying the house payment, and let the kids pay for their own college. Use all the money to pay extra on the house, thus cutting years off the length of that commitment. Once the house is paid, then fund investments and college. Do all three. Send some to investments, some to pay extra on the house, and put some away for college. Once the house is paid and the kids are through college, put everything into investments. Don't forget, getting your consumer debt paid off is not the end of the road, it's just the beginning. This stage is where the real financial wealth in your life will be built. Once you're able to start putting away large sums of money in the bank (especially after the house is paid off) you can let compound interest work for you and propel your finances to new heights you never dreamed possible. So continue to be vigilant, don't get stupid, and your wealth will build like nobody's business, guaranteed! In the next post I'll sum up all that I've covered in the “How Do You Get Out of Debt?” series, and talk about how your get out of debt decision is not only good for you and your family, but also affects the entire world for the better in ways you cannot imagine. Pay a 30 year Mortgage in 15 Years? You’re a fraud. You can’t just spew Ramsey’s plan, call it your own and expect people will find you credible. If you have an original thought, then that’s fine, but NOTHING you say here is an innovative variation or improvement from what Ramsey has already published. You’re a plagiarist and the “Dr.” in front of your name is laughable. I have a pretty good idea now how you got through college….. In case you didn’t know, Dave Ramsey didn’t invent these concepts. They have been around for generations, he just popularized them. Dave learned a large part of what he does from his mentor, Larry Burkett among others. Remember, even the Bible says “There is nothing new under the sun”. We’re all standing on the shoulders of the people we’ve learned from. If you don’t like it, you don’t have to read it. You can ask the hundreds of people I’ve helped whether I’m credible or not. They might beg to differ with you on that subject. You can doubt and make fun if you want, but let me ask one simple question: What have you done to make people’s financial lives better? What have you done to inspire people and make them better? Point me to your website or your book or your course and let me see what you’ve done. I’d be interested to check it out.